Need a reliable, long-term solution for the reduction of mercaptans? 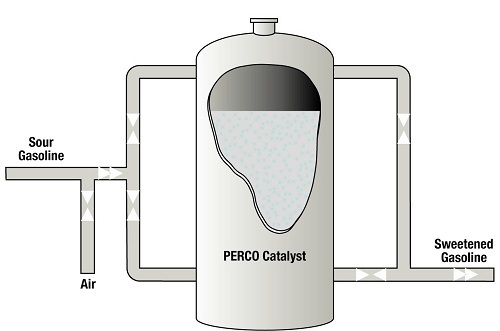 The PERCO® sweetening catalyst and process is a highly efficient, cost effective solution for the conversion of "sour" mercaptan (RSH) sulfur compounds in liquid hydrocarbons to non-corrosive and odorless disulfides. PERCO® treated or "sweetened" products meet pass copper strip specifications and negative doctor test for low mercaptan sulfur (ppm). PERCO® eliminates mercaptan sulfur induced corrosivity and improves odor on all stocks. The PERCO® sweetening process is simplistic in design and operates over a broad range of flow rates and temperatures. Catalyst for quantitative mercaptan (C1-C4) conversion to disulfides. Odor control across a wide variety of feedstocks. Unlike other sweetening processes, PERCO® is ready-to-use thereby eliminating the need for in-situ activation. The catalyst an be used to treat methane, ethane, propane, butane, natural gasoline, straight run gasoline., kerosene and mixtures thereof. In typical configuration, PERCO® is loaded into a single vertical vessel or parallel vessel configuration where the hydrocarbon stream flows through the vessel. 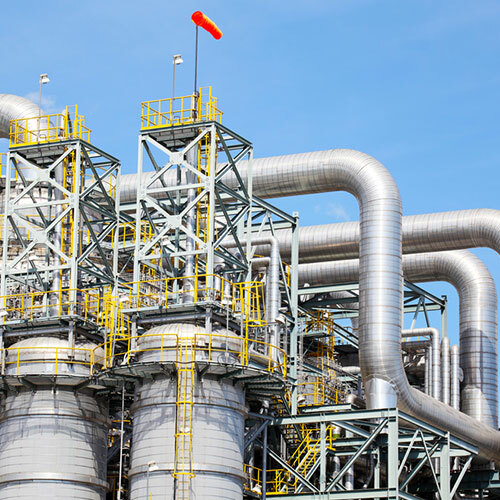 The gas sweetening process requires an addition of a small amount of air (O2) added to the hydrocarbon upstream of the PERCO® mercaptan removal / conversion treating unit. The air requirement is dependent upon level of Mercaptan sulfur in the stream. 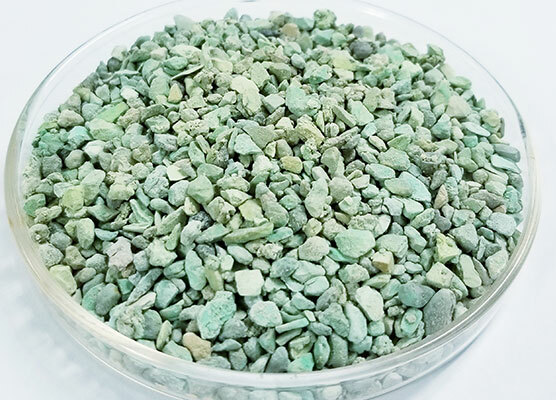 The small amount of injected air (O2) is then consumed over the catalyst bed, and mercaptan compounds in the stream become converted to non-corrosive, odorless disulfides. Proprietary process modeling tools allow Chemical Products Industries technical engineers the ability to quickly and accurately design PERCO® processes for new and/or existing applications that require mercaptan conversion.